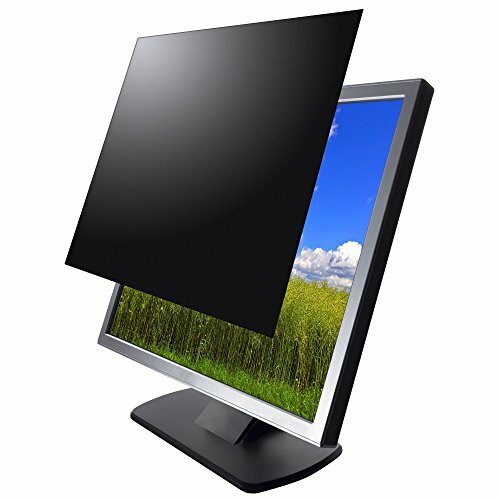 Keep confidential work secure from prying eyes with the Kantek LCD Secure-View Blackout Privacy Filter for 27-Inch Widescreen Monitors (16:9 aspect ratio). This filter blacks out your screen image when viewed from either side, while keeping a crystal clear image when viewing the screen straight-on. It also reduces glare, increases contrast, protects the display from scratches and dirt, and can help health care institutions meet HIPAA Patient Privacy Act compliance. It features a lightweight, thin, frameless design and is easy to install. Kantek provides personal customer service, superior design and construction, a high degree of flexibility and responsiveness to the marketplace.